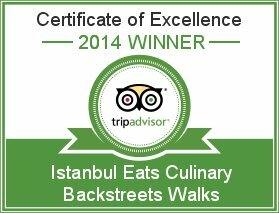 This place, part of a British chain that seems to be spreading around the world at a rapid pace, was recently named by both Time Out Istanbul and Hürriyet as having the city’s best burger. An English burger? Could the product of this British Invasion be the Beatles of the hamburger? 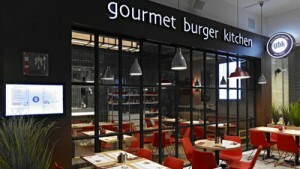 We decided to investigate at GBK’s Nişantaşı branch (there are a few others around town), located near the tony ‘hood’s main shopping district. With a gleaming open kitchen, stylish modernist furniture and loungish music playing overhead, the restaurant exuded corporate cool. The menu, meanwhile, seemed to be designed by committee, with 12 kinds of beef burgers (Mexican, Thai, Cajun, etc. ), seven different chicken burgers (the thought of the Camembert & cranberry one lingering unpleasantly in our mind) and a few veggie burgers. We opted for the “Classic” burger, an all-beef patty that came served on a sesame bun with onion, lettuce, mayo and tomato “relish,” a fancy take on ketchup (surprisingly, GBK’s kitchen doesn’t stock pickles). Sadly, the hamburger disappointed. The bun was nicely toasted, but the patty it held was a dry, thin, characterless, machine-made disc that reminded us of the hamburgers we used to eat in our junior high school cafeteria. The emaciated single ring of red onion sitting on top of the burger struck us as particularly measly, especially considering that the burger cost 14 lira (without fries, which are an extra 4 lira). Our vote on Gourmet? Gour-nay. This new Tünel hamburger joint’s owner, a former basketball player turned restaurateur, spent some time studying in California, where he also worked for a spell flipping burgers. This up-close-and-personal experience in the hamburger’s homeland certainly shows up, in both the food and the surroundings. Mano also gets the burger vibe right in its décor. The restaurant is stylish but fun, with tables and stools outside painted in shades of ketchup, mustard and mayo and banquettes inside built out of old car seats. Like a good burger joint, it already feels like a neighborhood institution, the kind of place you wouldn’t give a second thought about dropping in for a quick meal and where you don’t mind leaving the place with a trail of “Mano sauce” on the front of your shirt. I tried Mano Burger last night. Their burgers are good but don’t compare to the ones at Egg & Burger. Egg&Burger has been on our radar screen. Good to hear a recommendation. We’ll try it out. Tried Manoburger the previous week. Overall i find it quite ordinary, ingredients outside patty was above average but patty was dry and as thin as McDonald’s’ burger; can’t be cooked rare, and easily be overcooked. Mano has an amazing bun, pretty good fries, reasonable price, but the meat is not right. The texture and taste are just not quite there. Without that burger-ness, which is totally missing, it’s just not a hamburger. It seems to me that all of these burger places suffer from a related meat issue – they are not using the right cut of meat, and they need to increase the percentage of fat they use in the grind. I am just back in Istanbul after four years on the West Coast. 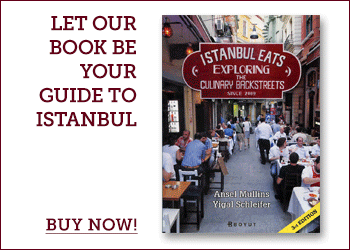 I was surprised to see so many hamburger restaurants in Istanbul these days. Isik, I think you are exactly correct about the meat. It looks and smells like a burger but it just is not a real burger. I would expect more from Dukkan which claims to be a meat specialist but, honestly, I prefer the burger at the House Cafe. I hope someone will find a “real” burger and share the address with us. Until then, I’ll stick to kofte. 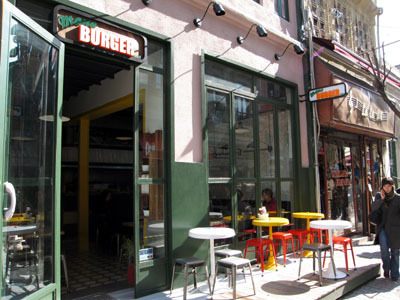 One day I really hope that there will be a good burger place in Istanbul, but so far, this has eluded me. Went to Gourmet Burger the other day for a chance to try a real American burger but I was sorely disappointed. Literally, the burger made me sick. 4 of us went, 2 of us (the one’s who got bacon in our burgers) became ill with food poisoning and the burgers were YUCK!!! Its funny, someone mentioned this is a British chain. And sorry, as an Americans, the brits are no better at making proper American burgers. The burgers at Burger Bar in Resit Pasa are very good. Have them with the chili fries and jack daniels sauce. You get to design your burger down to the last detail. A little out of the way but its not far from Istinye park, definitely worth it. They also just openend a little branch on Bagdat caddesi, I was happy to see the same quality there. I just ate at “Burger House” in Acibadem and I thought it was very good as far as Istanbul’s burgers go. Underneath their logo it says, “handmade burgers” so I thought I’d give it a shot. I will say that besides the meat being different as other people have mentioned, every place that I have ever eaten a burger in Istanbul can not do temperature correctly. In the US I usually get my burger medium rare. Here in Istanbul, I always order it rare because it will usually come out well done or medium well if I’m lucky. Don’t be afraid of a little pink and red! The Burger House was no different, it was cooked through but still juicy and tender. I got the Blue Cheese Burger and they skimped on the blue cheese a little bit but overall the burger was very tasty. It was 15 lira plus 4 extra for fries. I would recommend it. 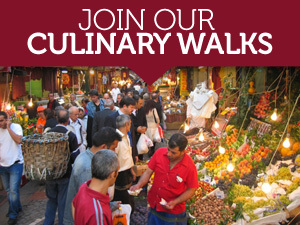 Does anyone know if there are any 100% grass fed burgers in istanbul? Now THAT woukd really be special!